Team CJ ultra-lightweight steel flywheels are CNC machined from a single billet of hardened chromium molybdenum (chrome-moly) steel. Our flywheels are machined after the hardening process, which means they are not subject to the uncorrected distortion seen in flywheels machined prior to hardening. 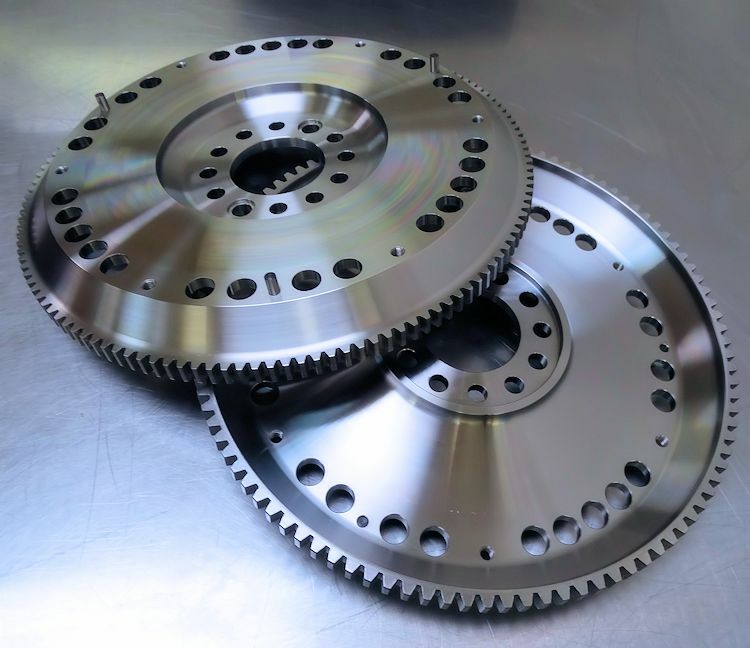 Machining the previously hardened chome-moly steel is obviously a more challenging and expensive process, but the benefits include perfectly aligned clutch and crankshaft mounting flanges, a perfectly flat clutch mating surface, and identical ring gear shape and tooth spacing. Team CJ billet steel flywheels are prodigiously strong and durable, yet at a mere 12 lbs they weigh less than most aluminum flywheels! Furthermore, much of the weight saving has been achieved close to the outer edges of the flywheel, nearest the ring gear, where reduced mass has the greatest affect on the moment of inertia. Team CJ billet steel flywheels are supplied dynamically balanced on two planes. They are designed to be used with a 9.5 inch diaphragm clutch. Truly one of the highest quality components in the entire Team CJ performance and reliability range of products.